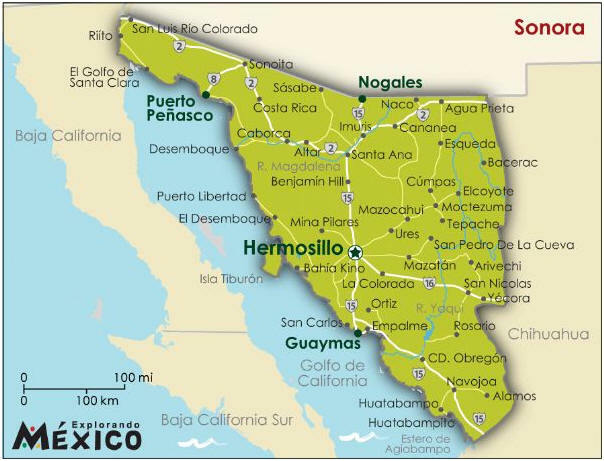 In addition to Rocky Point (Puerto Peñasco), visitors to the state of Sonora are now able to drive directly to cities like San Carlos, Guaymas, Hermosillo, Magdalena, Kino Bay and Santa Ana, without obtaining a temporary vehicle importation permit. Travelers are required to have proof of US citizenship, a valid driver’s license and vehicle registration. In Km. 98 of Empalme, ends the free circulation zone for vehicles of foreign citizens and Mexicans living abroad; from this point, it is necessary for all vehicles to have a temporary importation permit, to avoid having their vehicle impounded by the customs authorities.